Julie Ingram, MSW, SWCL, long-standing and greatly valued member of the Beaverhead County Mental Health Local Advisory Council (MHLAC), has resigned in light of her upcoming move to Helena to accept a position with St. Peter’s Behavioral Health Unit. Julie has been on the council since it’s inception in the 1990’s and worked with great passion on many committees over the years to advocate for consumers of mental health services in our county. 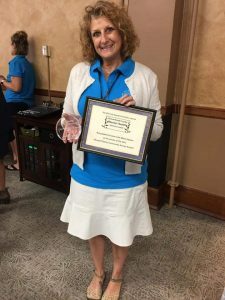 This past September at the Big Sky Behavioral Health Summit, she was honored by the MHLAC as the first recipient of the Howard Gaines Community Service Award. Her presence, dedication, and thoughtful input will be greatly missed. Yet, her friends on the MHLAC are excited for her and are wishing Julie great success in her new adventure. Julie’s resignation creates a vacancy on the MHLAC. Persons interested in being appointed by the county commissioners to fill that vacancy should submit a letter of interest by February 8, 2018, to Lynn Weltzien, lynnweltzien@icloud.com, or 510 S. Dakota Street, Dillon, Montana, 59725.